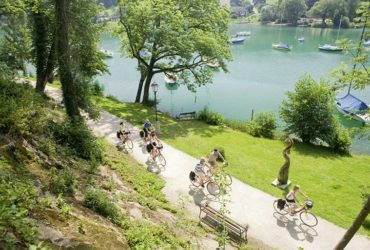 Cycle through Austria on long and beautiful cycle paths! You ride from one cultural site to the next through sumptuous landscapes! Austria is a paradise for cycling holidays. Through splendid and varied landscapes, take full advantage of the many bike paths offered throughout the country. Along the Danube on the route of the EuroVelo 6, towards the lakes and mountains that make the beauty of the country or within the metropolis, the holiday cyclist is spoiled. 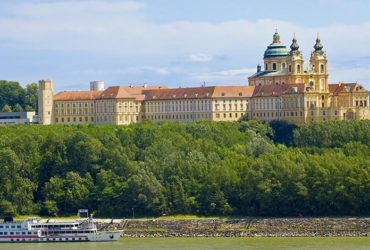 From the mountainous regions to the valleys below, discover the castles and the many places filled with history which, with the green and flowery countryside, contribute to the romanticism of Austria. Austria is a land of culture and proud of its traditions. No surprise, when they gave birth to artists such as Strauss, Mozart, Klimt or Romy Schneider! Costume parties punctuate the life of towns and villages, in forms as diverse as ski races, parades, balls or transhumance. The historical past of Austria is not left out. It is strongly linked to that of its neighboring countries like Germany, Switzerland, Hungary or Italy. The Austrian Empire left a unique architectural heritage that can be discovered throughout the country. Vienna, its capital, is a perfect illustration of it with its many palaces and castles that still host traditional festivals today. Economically dynamic, modern Austria is a welcoming land that will delight travelers throughout their discoveries. Imagine more than 10 000 kilometers of bicycle paths and greenways in a country almost 8 times smaller than France … In other words, you will not be bothered much by cars during your bike stay . Crossed by Euroroute 6 following the meandering Danube, Austria invested a few years ago in one of the densest cycle networks in the world. Cycling around the country offers incomparable comfort. The variety of geographical areas in Austria means that the country offers different climates. The Alpine region is cooler and more humid than the warmer and drier east. Elsewhere on the territory, the climate is mild. In summer, cycling in Austria is therefore done under mild weather conditions.